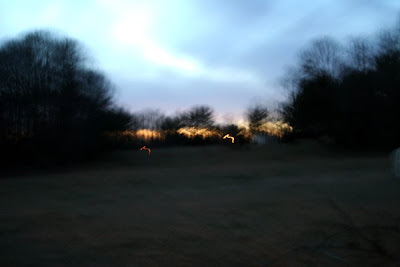 as the sun went down behind the trees. I gave Paul for Valentine's Day. On another note, Philip came home from school with this thick paper. 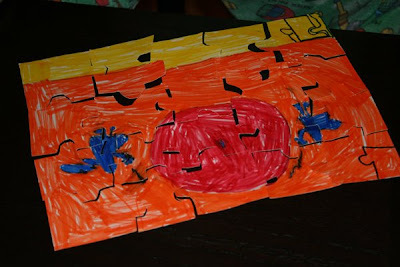 He had drawn a picture on one side and carefully mapped puzzle lines on the other side. 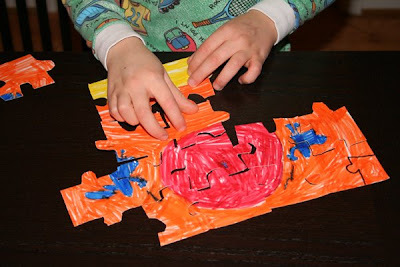 He trimmed them out carefully then set to work putting together the puzzle he'd crafted. I thought he did a fantastic job and the finished product was slightly remniscent of an earlier puzzle we worked together. 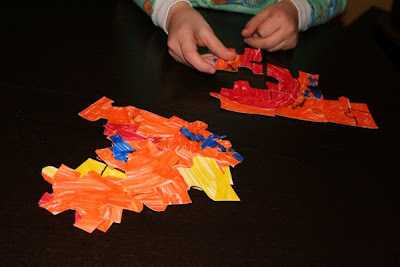 Making puzzles is one of our favorite activities at school.